9ct Gold Emerald Cut Amethyst Ring. 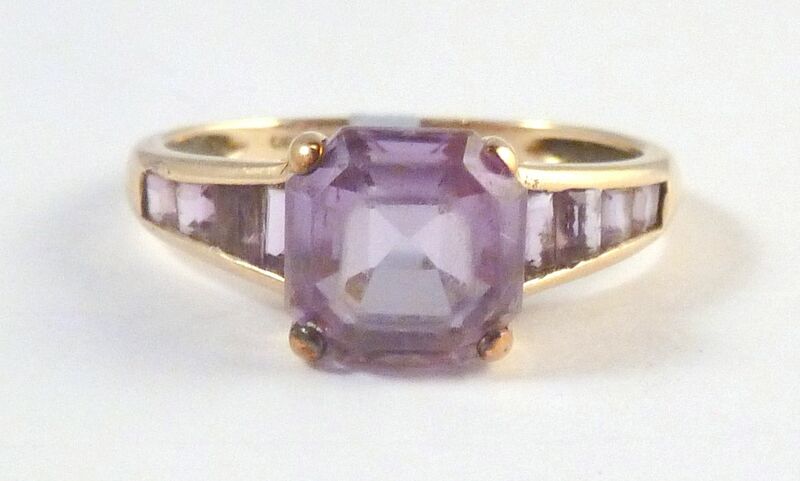 Stunning 9ct gold, emerald cut amethyst multi- stone ring . 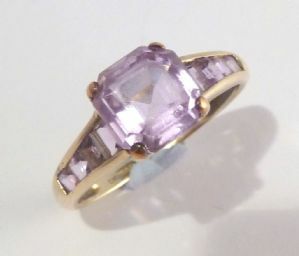 UK size T.
9ct gold, emerald cut amethyst ring. Featuring a centrally set, raised, square emerald cut amethyst, which is flanked by eight baguette shaped amethysts. Four set to each side graduating in size towards the large central amethyst. Hallmarked for 9ct gold, Birmingham, 2007 with the makers mark QVC. The ring is a UK Size T, US size 3/4. Ring Size UK Q , US 8 1/4. 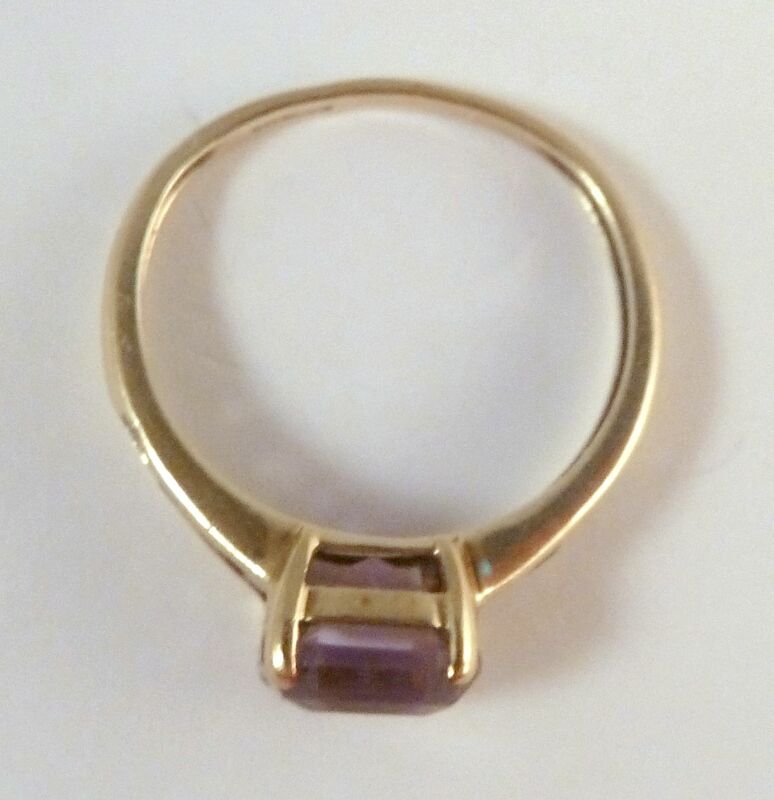 9ct gold and emerald cut amethyst ring. Hallmarked for Birmingham, 2007, 9ct gold to the inner band of the ring, with makers mark QVC. Very good condition, minor surface wear in keeping with age. 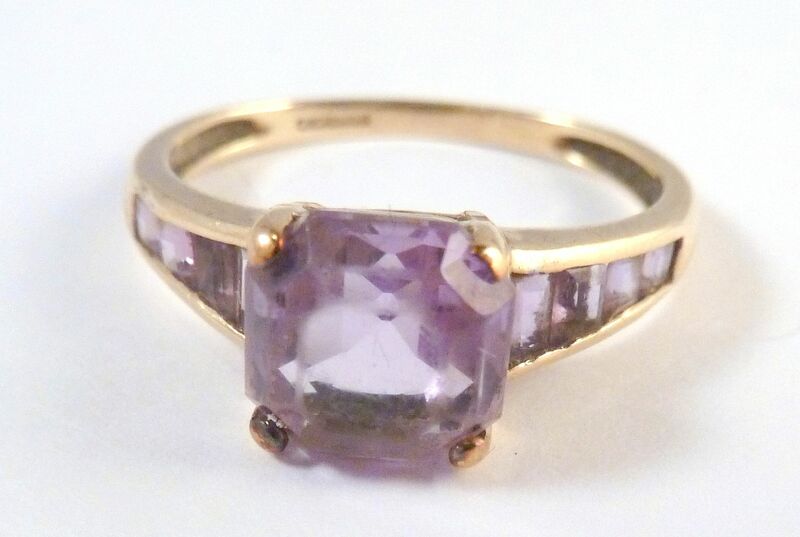 A stunning, modern 9ct gold and emerald cut amethyst ring.